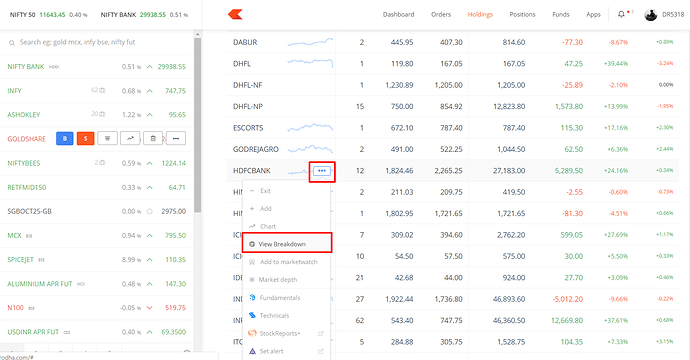 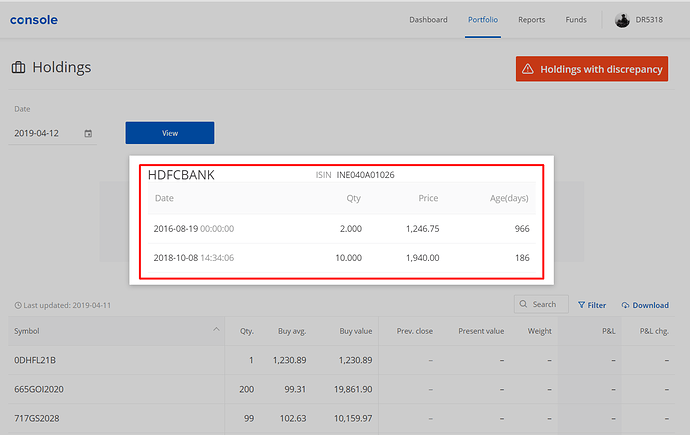 You can now check your holdings breakdown directly from Kite web, instead of having to first visit console. 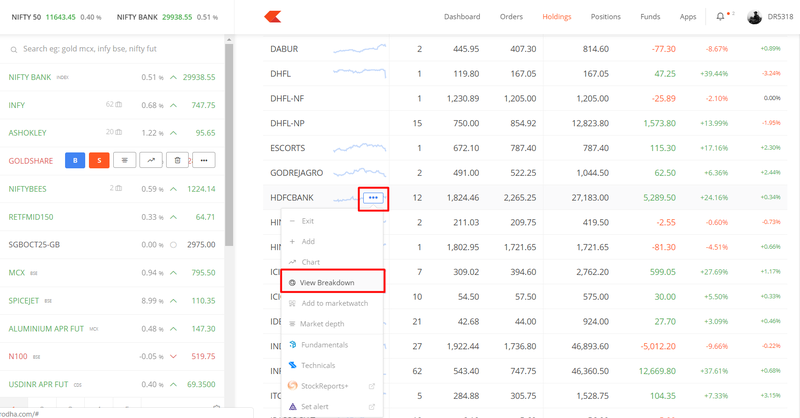 Clicking on breakdown initiates the below, breakdown with trade dates, time, and also the number of days. This will help you figure if it is long term (>365 days) or short term (<365 days) holding.